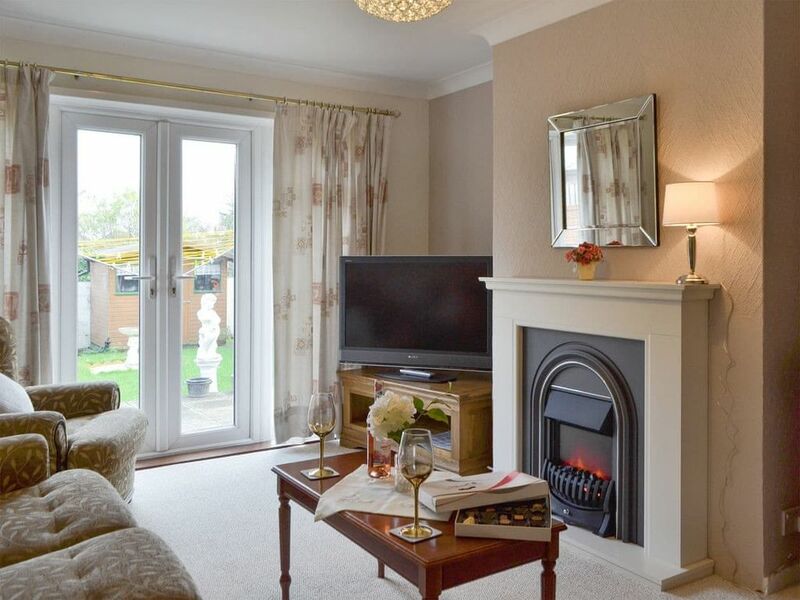 Living room: With electric coal-effect fire, 40" Freeview TV and French doors leading to garden. Bedroom 2: With twin beds.. Gas central heating, electricity, bed linen, towels and Wi-Fi included. Enclosed lawned garden with sitting-out area, garden furniture and barbecue. Bike store. Private parking for 2 cars. No smoking.. This semi-detached house is ideally located in a quiet residential area on the outskirts of Whitstable. Bring your bikes and cycle into the town, drive or catch the bus down to the harbour where they land the world famous Whitstable oysters. Here, as in many English seaside resorts during Napoleonic times, the smugglers once ruled. Stashing away their contraband, which included an illegal trade in tobacco and spirits, they then used the plethora of alley ways, including ’Squeeze Gut Alley’ (take a look and you will see how it got its name! ), as escape routes. Hire a bike if you don’t have one and then cycle the Crab Winkle Way, which is almost 7 miles of traffic free route along the old disused railway line to Canterbury. The trail is also also suitable for children. Whitstable has a vibrant, contemporary arts scene, and worth a visit is the Whitstable Museum and Gallery, home to touring and permanent exhibitions. On a bright and sunny day, head towards the beach or stroll towards Tankerton Slopes, which is dotted with little wooden beach huts on the grassy banks that slope towards the shingle. Nature lovers can visit Blean Woods Nature Reserve and the Wildwood Discovery Park, and no trip to the area would be complete without exploring the historic city of Canterbury with its magnificent cathedral. Golf and fishing can also be found locally, and there are good road and rail connections to the surrounding area. Beach 2 miles. Shop, pub and restaurant ½ mile.